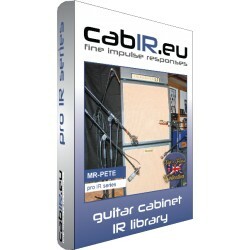 Cab-Packs included: MR-CB71 + MR-PETE + MR-GOLD92. For detailed information, what`s included, please inform you from the product descriptions of the single Cab-Packs you`ll find below. SPEAKER CABINET IMPULSE RESPONSE LIBRARY based on a ’71 Marshall™ 1960A guitar cabinet, loaded with Celestion™ G12M25™ „pulsonic cone“ pre rola speaker from 1971. 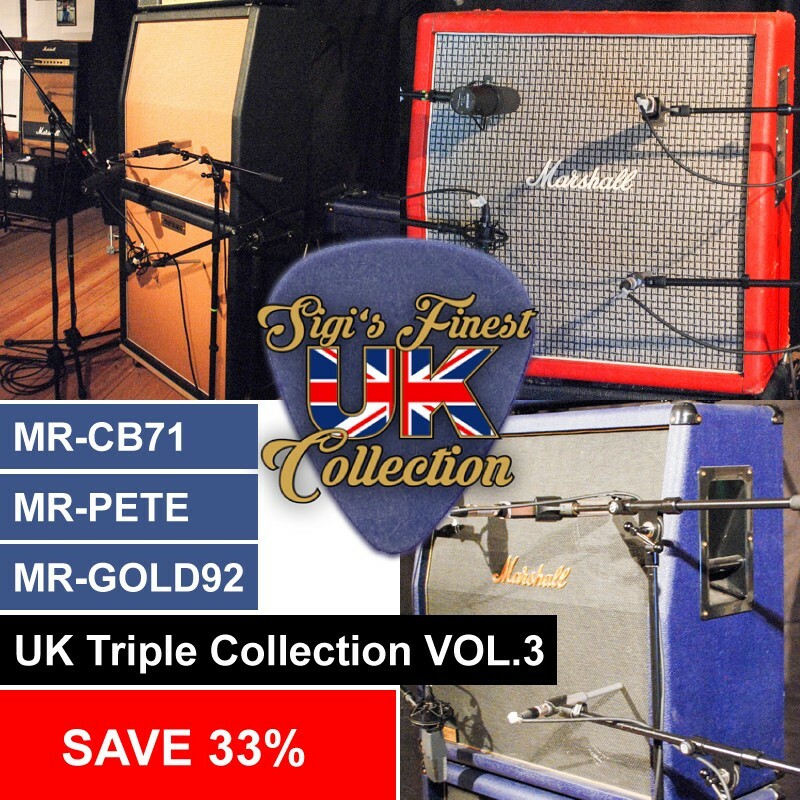 Included in the UK Triple Collection VOL.3 with +33% OFF. 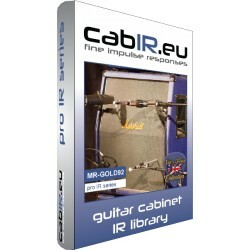 SPEAKER CABINET IMPULSE RESPONSE LIBRARY based on a ’92 Marshall™ 6960ALE™ guitar cabinet, loaded with Celestion™ G12T75™ speaker from 1992. Included in the UK Triple Collection VOL.3 with +33% OFF. 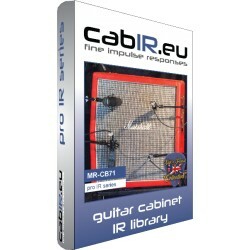 SPEAKER CABINET IMPULSE RESPONSE LIBRARY based on a Marshall™ 8x12“ consists of 812T40 & 812B40 guitar cabinet, loaded with Celestion™ T652™ AlNiCo „silver“ speaker. 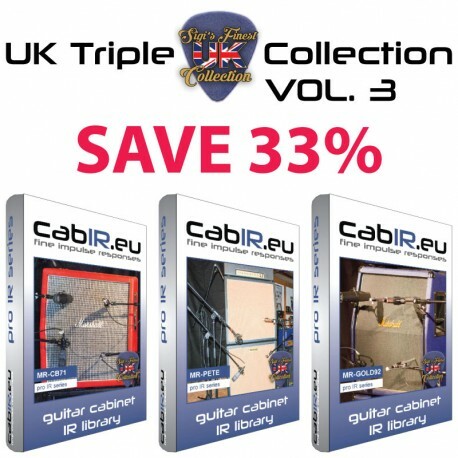 Included in the UK Triple Collection VOL.3 with +33% OFF.